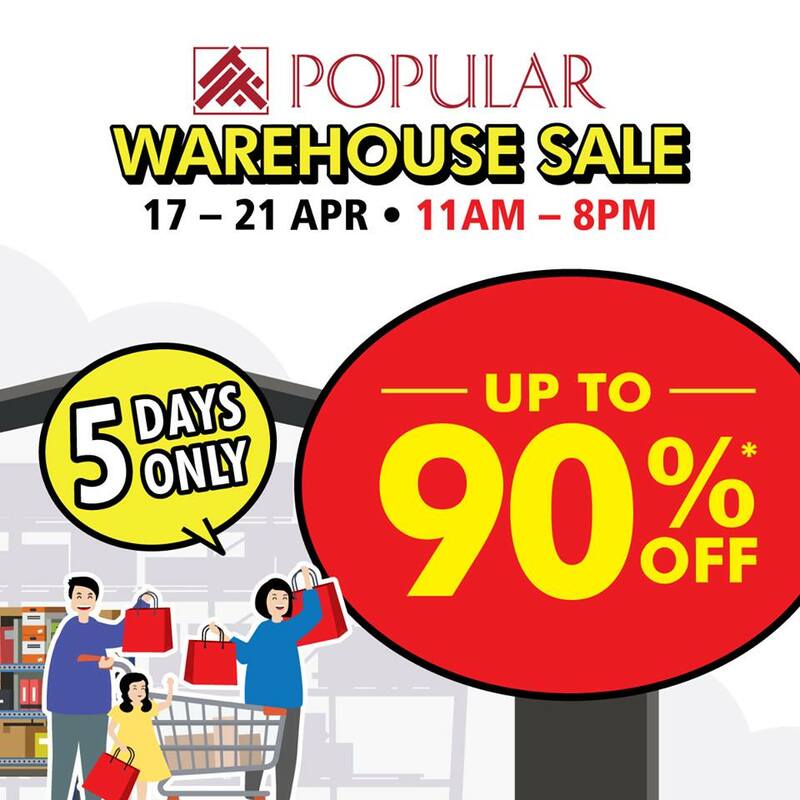 POPULAR Bookstore will be running a Warehouse Sale for 5 days from 17 – 21 April 2019. Enjoy up to 90% off stationery, assessment, books, musics, gadgets & IT. Receive $25 worth of vouchers with minimum $100 nett spend. Citi Cardmembers enjoy additional $5 cash voucher. The post POPULAR Bookstore Warehouse Sale: Enjoy up to 90% off stationery, assessment, books and more from 17 – 21 Apr 2019 appeared first on MoneyDigest.sg.